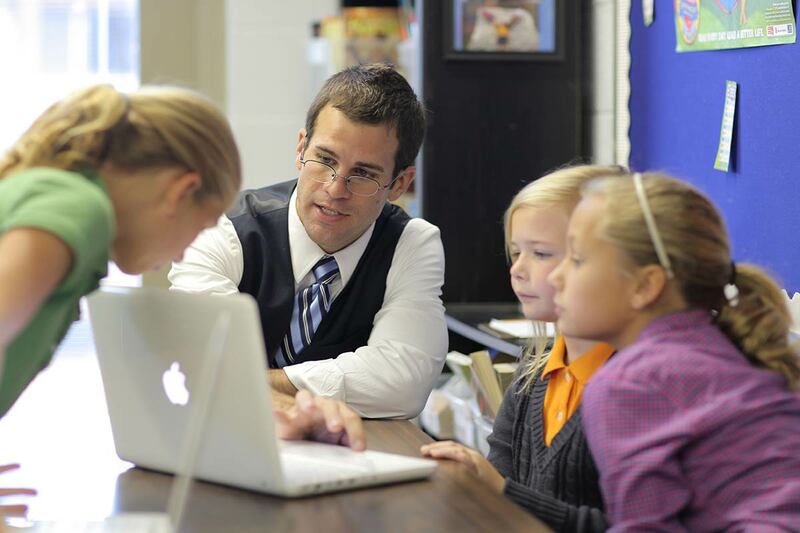 Teachers, what would you do with $25,000 in technology upgrades? 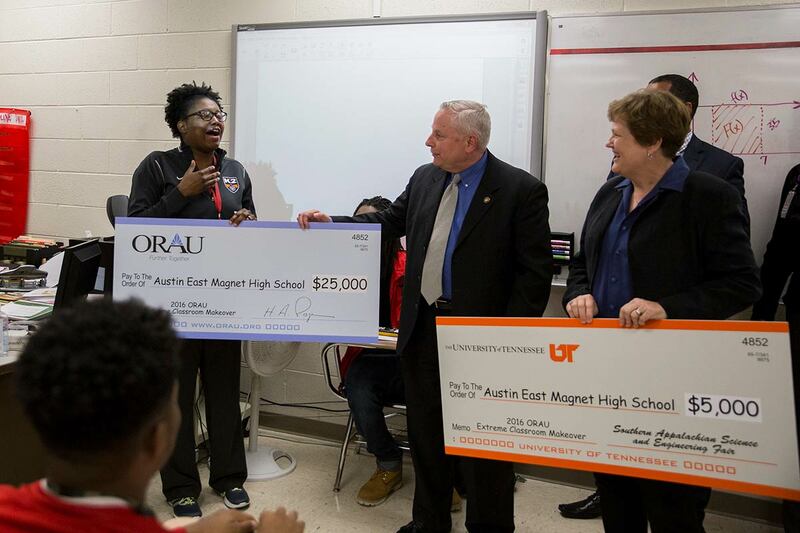 ORAU launched Extreme Classroom Makeover in 2008 to help improve science, technology, engineering and math (STEM) education in public schools across East Tennessee. The concept played off of home makeover shows that were trendy at the time—one teacher, one classroom and $25,000 in new technology. In the years since, Extreme Classroom Makeover has become so much more than that. Technological advancements are an everyday occurrence. Most children today are digital natives, seemingly born with smartphones or tablets in hand. Still, some schools do not have the budgets to keep pace with changing technology. Keeping up with current demands seems like a luxury. That’s where Extreme Classroom Makeover comes in. Our annual competition awards deserving STEM teachers with a room full of the latest educational technology. Renee Powell, teacher at Lanier Elementary School in Blount County won $25,000 for her classroom! Watch the video to see what happened. Watch the 2018 classroom reveal at West View Elementary! 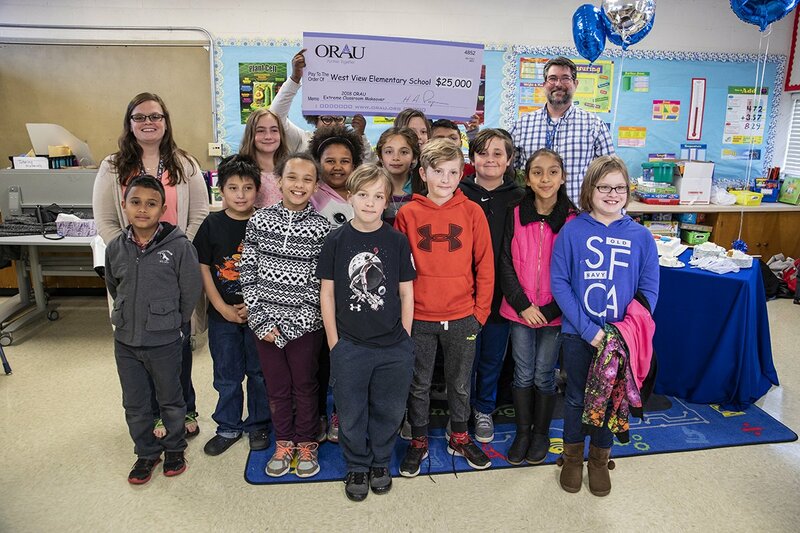 In April 2018, ORAU presented West View Elementary School teacher Patrick Pollock with a $25,000 technology makeover during a surprise classroom announcement. In July, we revisited Mr. Pollock's new classroom technology! How do I qualify for Extreme Classroom Makeover? The Extreme Classroom Makeover application deadline for 2019 has passed, but stay tuned for more information about this year's winners! Jordan Haney, a teacher at Rocky Hill Elementary School in Knoxville, won the Extreme Classroom Makeover grand prize in 2010. Among the items Haney bought to outfit his classroom were a Promethean Board, which is a type of interactive white board, and iPads to be used by each of his students. He says Extreme Classroom Makeover is still making a difference in his classroom. Want to learn more about the Extreme Classroom Makeover? Email us at communications@orau.org.